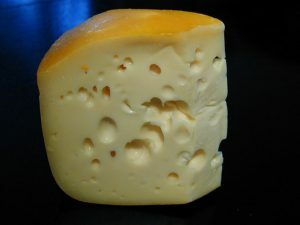 According to a recent story from the Boston Herald, a driver carrying approximately 20 tons of cheese was allegedly driving drunk and crashed his semi tractor-trailer on the Southeast Expressway just outside of Boston. Authorities have said the 43-year-old defendant lost control of his truck full of cheese that was being delivered to the greater Boston area from Wisconsin where it was made. The crash occurred around 1:30 a.m.
Massachusetts State Police (MSP) troopers were immediately called to the scene, and, when they arrived, they saw that the truck had smashed into a crash attenuator at high rate of speed. A crash attenuator is often placed at the end of one or more concrete Jersey barriers or metal guardrails where they form a dangerous point. The crash attenuator is designed to absorb the force of the crash and stop the vehicle to prevent the driver from being killed on the sharp point. In some cases, they will use barrels of water or sand, and in some cases, they will use a purpose-built device that is typically painted with reflective stripes. In this case, the crash attenuator did its job and saved the life of the alleged drunk truck driver. When the troopers questioned the suspect, they immediately became concerned he had been driving his commercial motor vehicle while under the influence of alcohol and requested that he take a series of standardized field sobriety tests. He reportedly failed these tests and was placed under arrest for suspicion of operating a motor vehicle under the influence of alcohol (OUI) and other related traffic charges. It should be noted that the defendant has merely been accused of a crime but has not yet been convicted of any offense in connection with this alleged Quincy drunk driving accident. Therefore, he is presumed innocent unless and until he is found guilty in a court of law by a judge or jury of his peers beyond a reasonable doubt. When the alleged at-fault driver has also been arrested for drunk driving, this may be helpful in obtaining a full and appropriate settlement or proving your case, should it go to trial. However, it should be noted that the vast majority of these cases will settle prior to trial. The reason this can help you is because proof that a driver has broken a traffic law can be used to establish fault in a civil car accident lawsuit in Massachusetts. This does not mean that you will automatically win, because the jury must look at the totality of the circumstances, but it does go a long way towards a successful outcome. Another thing to keep in mind is that, while the legal limit for a driver’s blood alcohol concentration (BAC) is 0.08 grams of alcohol per hundred milliliters of blood in Massachusetts, this BAC limit applies to personal vehicles. In a commercial motor vehicle, the legal limit for consumption of alcohol is 0.04 grams of ethanol, which is half the limit in a personal motor vehicle.